Former Presidential Communications Assistant Secretary Mocha Uson recently took a nasty swipe at the opposition senatorial slate “Otso Diretso” formed by the Liberal Party. Uson, a nominee of AA Kasosyo party-list group in the May elections, said the Liberal Party fits the name eight since it leads to nowhere. 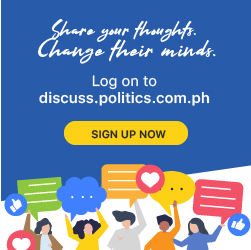 “Bagay talaga sa Liberal Party ang numero otso, tulad nilang paikot ikot at walang papupuntahan,” she said in a Facebook post.